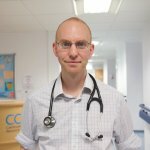 In this blog for non-medical readers, Harry Boardman discusses the different types of coronary stents which are used to treat people after a heart attack. Coronary artery disease refers to an obstruction within a coronary artery which impairs the passage of blood flow down the artery. The obstruction is usually caused by a fatty or chalky plaque. This plaque can be too small to cause any symptoms at all or if it limits the blood flow down the artery it can be associated with angina (chest pain which is worse on exertion and goes away with rest) termed stable coronary artery disease. The chest pain is caused by the heart muscle which is supplied by the obstructed artery being short of blood. Alternatively a coronary plaque which is increasing in size can cause an increasing obstruction within a coronary artery, this can happen over several weeks or very rapidly if a blood clot forms on top of the plaque – this occurs if the centre of the plaque is exposed by the surface of it being eroded or splitting. This is often associated with symptoms whilst at rest and is referred to as an acute coronary syndrome (ACS). ACS is an umbrella term used to describe both unstable angina (chest pain which is present at rest but not causing permanent damage to the heart) and heart attacks (also known as myocardial infarction, which is when the heart muscle is scarred). ACS are very common and it is estimated that 3.7 million people worldwide died from ACS in 2012. It is a serious medical condition and an individual with significant symptoms of chest pain at rest which last longer than 15 minutes should be assessed urgently by a doctor in hospital to assess whether the cause of chest pain is an ACS. The medical team will arrange a number of tests, including an ECG and blood tests. Once the diagnosis of ACS is made there are several different treatment options which the doctor will discuss. Treating ACS: what are the choices? 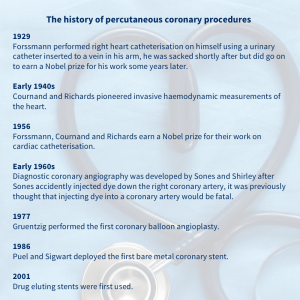 Medication and percutaneous coronary intervention (PCI – sometimes referred to as balloons and/or stents). The coronary arteries: how many arteries are affected? Where is the narrowing? The pumping function of the heart: is it impaired? 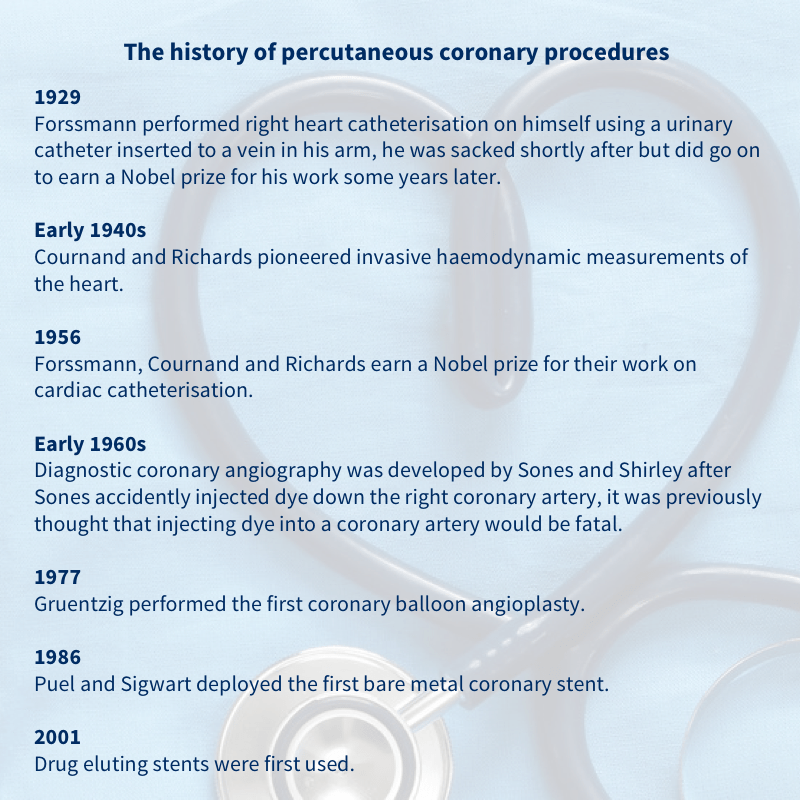 Percutaneous coronary intervention (PCI) refers to treatments to open up blocked or narrowed coronary arteries using equipment inserted through blood vessels in either the wrist or groin and passed along the blood vessels to the individual’s heart to access the coronary arteries. It does not involve any big incisions into the chest or stopping the heart from beating. The first PCI to be developed was balloon angioplasty, this involves passing a deflated balloon to the narrowed artery, the balloon is then inflated which squashes the fatty or chalky plaque up against the wall of the artery thereby opening up the artery to allow blood to flow more freely. However opening up an artery by squashing and redistributing the plaque does not last forever in everyone; with balloon angioplasty alone there is a high rate of restenosis (re-narrowing of the artery) over time. Fine metal scaffolding tubes (known as bare metal stents – BMS) were developed to help keep the artery open for longer. These are placed inside the artery after the narrowed area has been ballooned and this has been shown to reduce the rate of restenosis. Keeping the artery open: what works best? Doctors found that there was still a proportion of patients who had restenosis after stents were used. This was caused by the growth of scar tissue within the stent, necessitating further angioplasty interventions at a later time. Drug eluting stents (DES) were developed to reduce the growth of this scar tissue. DES are metal stents covered with a polymer which is coated in a drug which acts locally to reduce the proliferation of smooth muscle cells and therefore the risk of restenosis (50-70% lower compared to BMS). However there is a downside; in the early generation DES there was a slightly higher rate of blood clots forming within the stent, which can be very dangerous. To reduce this risk the recommended duration of antiplatelet therapy (aspirin etc.) is often longer with DES compared to BMS. Since DES were first developed the design of both the stents and the drug coating have gone through a number of improvements leading to lower risks of blood clots and restenosis of the stent. More recently bioabsorbable stents have been developed, these are gradually absorbed so that in time none of the stent remains. However, so far the results have not suggested that these are better than existing DES. As with any treatment, it is important to be able to weigh up the benefits and harms of DES versus BMS in people with ACS. A Cochrane review looks at the evidence. The authors performed a thorough search for relevant publications up to January 2017. The authors focused their search on the evidence for differences in all-cause mortality, major cardiovascular events (which include heart attacks and strokes) and serious adverse events. The search found 25 trials, randomising a total of 12,503 participants. All trials were at high risk of bias, and the authors assessed the quality of evidence as low. The majority of the trials included patients with ST elevation myocardial infarction, where typically the affected coronary artery is 100% occluded as opposed to severely narrowed, which is more often the case in other types of acute coronary syndrome (non-ST elevation myocardial infarction and unstable angina). The analysis showed no evidence of a difference between stent types for all-cause mortality or major cardiovascular event. The risk of a serious adverse events was lower in those treated with a DES compared to a BMS (18% compared to 23%). This means that if 100 people were treated with a DES and 100 with a BMS then 5 fewer people in the DES group would have a serious adverse event. This difference was predominantly due to a lower chance of needing a further PCI (i.e. another stent). The rate of stent blood clots was not different between groups. The authors made a detailed analysis of the data and included more than 12,000 participants; however we must bear in mind that the quality of the trials included in this analysis were poor and the length of time the participants were followed up to see if the treatments were associated with differences was relatively short, meaning that the differences seen might be larger or smaller if we followed the participants for more than 1 year. Also more than half the studies were published 9 or more years ago during which time stent technology has improved, so if you had a stent put in tomorrow the differences between stents might not be exactly the same as when they were assessed several years ago. Finally the population recruited to take part in the trials included in this analysis were on average younger and with a higher proportion of men than would be typical for a population of individuals with ACS in the emergency department of a hospital in a high income country. The cost of DES has steadily fallen since they were first introduced and most modern day interventional cardiologists use far more DES than BMS. The most common reasons for selecting a BMS would be concerns regarding an elevated risk of bleeding or the need for an urgent operation in the next few months (i.e. for cancer); this is due to a higher risk associated with stopping blood thinning medication (aspirin etc.) prematurely with DES compared to BMS. The current review suggests that using DES rather than BMS may reduce the need for future coronary procedures but there is no evidence that it saves lives or reduces major cardiovascular events. However future trials and reviews, including the latest generation stents, may offer better understanding on this subject. Feinberg J, Nielsen EE, Greenhalgh J, Hounsome J, Sethi NJ, Safi S, Gluud C, Jakobsen JC. Drug-eluting stents versus bare-metal stents for acute coronary syndrome. Cochrane Database of Systematic Reviews 2017, Issue 8. Art. No. : CD012481. DOI: 10.1002/14651858.CD012481.pub2. Harry Boardman has nothing to disclose. Hi Stuart, stents stay in the artery forever. Over the course of months a layer of cells forms over the stent struts so they are no longer in contact with the blood running through the artery. 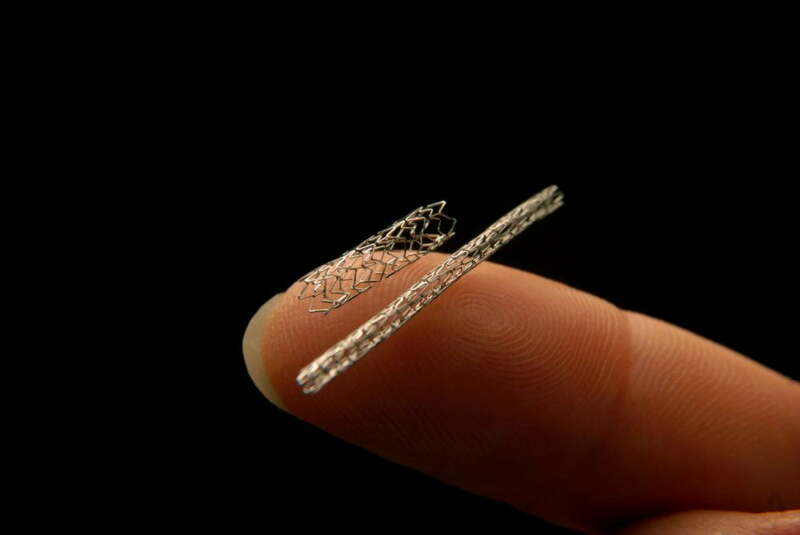 Which type of stent is better and high quality?? The cardiologist put me on 75mg Plavix, but after 9 x days l began to have a bleed coming from either my lungs or low in my throat as l was coughing up a considerable amount of blood. I have been told to stop the plavix and the bleeding/coughing blood has now stopped, however l am now wondering if l can proceed with havings the stents due to the possibility of bleeding if/when l am put back on the anti coag drugs? Are there any stents which require less emphasis on anti coag medications?